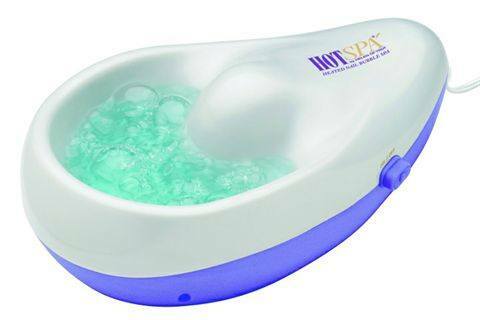 The HotSpa Hot Tub from Helen of Troy soothes and relaxes hands during the premanicure soak with a stimulating bubble massage. The ergonomic design keeps hands rested and comfortable, and the large water reservoir accommodates most hand sizes. For more information, visit Helen of Troy.